Fife Paralympian Alison Patrick has won a silver medal in the triathlon. The 28-year-old from Dunfermline finished in a time of 1:13:20 at Fort Copacabana, just 1:02 behind the US winner Katie Kelly. Alison, who is visually impaired, swam 750 metres, cycled 20 km and ran 5km with her athlete guide Hazel Smith, of Edinburgh, in the PT5 class. Their medal is the fifth won by Scots in ParalympicsGB at Rio so far. Mike Whittingham, performance director at the Sportscotland Institute of Sport, said: “What a wonderful performance by Alison Patrick and her guide Hazel Smith as they won a silver medal in the PT5 para-triathlon. “Alison only began competing in the sport in 2013, so it is a great achievement that she has now added a Paralympic medal to her European and World Championships medals. 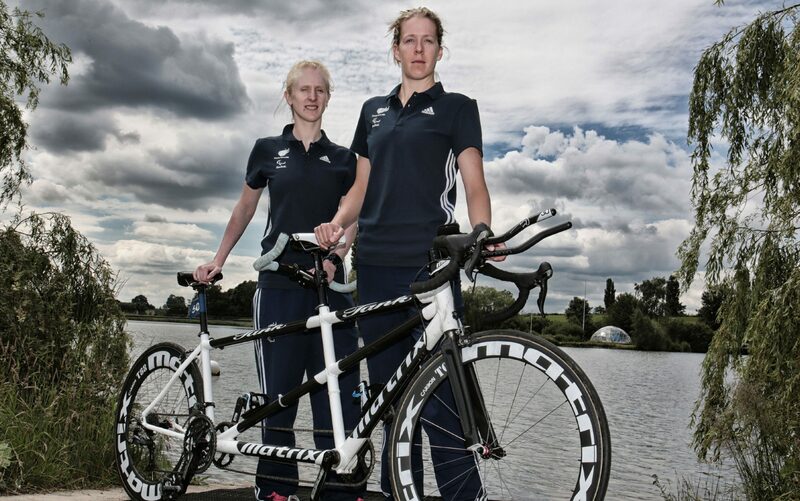 “I’m extremely pleased that, in her first Paralympic Games, Alison has recorded a podium finish in Rio with Hazel. Previously a runner, Alison switched to the triathlon after an injury saw her take part in swimming and cross-training for rehabilitation. Other Scots to have won medals are Libby Clegg, who won gold in the 100m, silver medallists Neil Fachie, with pilot Pete Mitchell, in the 1000m cycling time trial, and Stef Reid, in the long jump, and swimmer Andrew Mullen, who took bronze in the 200m freestyle. Fellow Fifers Kieran Steer and Derek Rae have still to compete in boccia and the marathon.